What’s up Diplomats? How was your weekend? 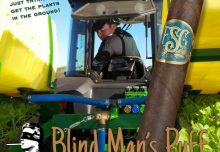 We hope you had some awesome time with a delicious Drew Estate cigar in hand! 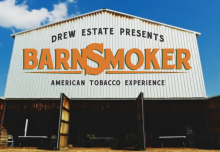 Get ready this weekend we will have some awesome live coverage from the Connecticut Barn Smoker, so tune into the Drew Estate Facebook page on Saturday! 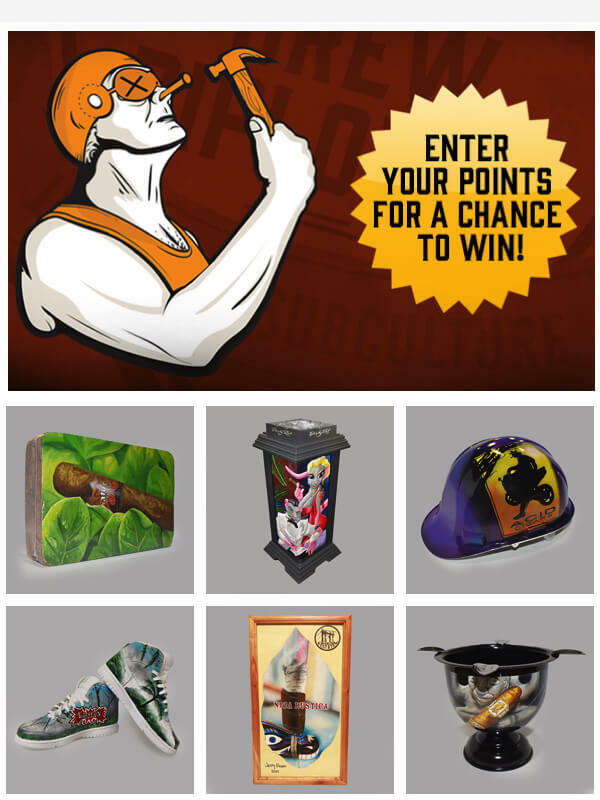 In the meantime, it’s time to get your points ready, we have a ton of amazing prizes this week. 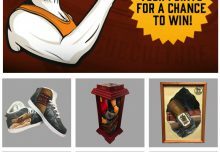 Starting off we have a pair of Larutan prizes, first is a cigar mold with the Larutan resting on tobacco leaves, and the second is a killer pair of Larutan sneakers showing off Esteli, Nicaragua. Next up is a smokey Nica Rustica painted cigar leaf that looks like it could be grabbed right out of the frame. For all you Acid smokers, we have an electric purple hard hat that will just glow on display in your house. Now we can’t forget about #TeamUCShade, for them, we have a sensational stinky ashtray. 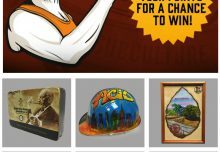 Finally the Grand Prize this month is one of the coolest Dirty Rat Mega Standing Ashtrays ever produced. Good luck Diplomats and have an awesome week.